Having your own home entails more than just enjoying intimate nights in front of the fireplace and relaxing weekends spent on the deck, even though it can be a-dream-come-true. Ensuring that your private oasis runs smoothly and is safe requires a lot of dedication. There are some fixes in and around the house you should familiarize yourself with, even if you don’t consider yourself to be an avid do it yourselfer, simply because making regular repairs and routine upkeep is part of the deal. 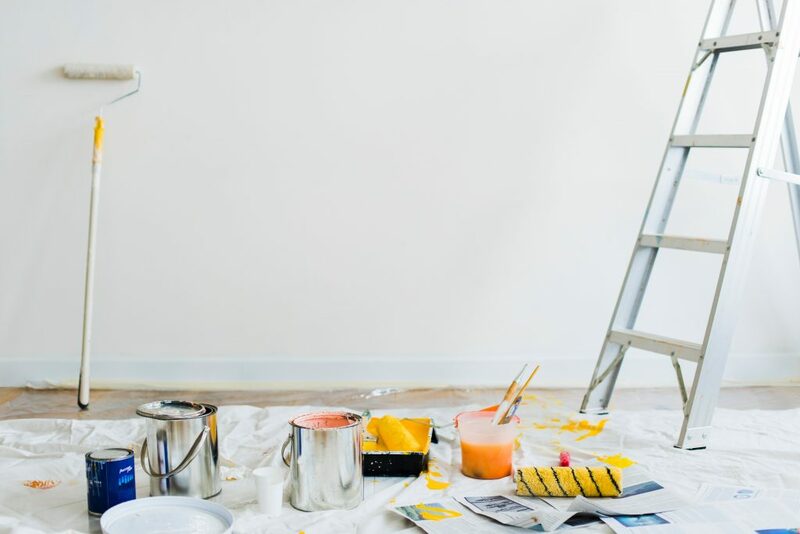 There’s no better way to improve or maintain the appeal of a room like a new paint job, regardless of whether you need to simply cover a small patch or an entire room. If you do not have, in your closet, work clothes covered in paint and a few paint brushes in the garage or basement, then you have not owned a home long enough. 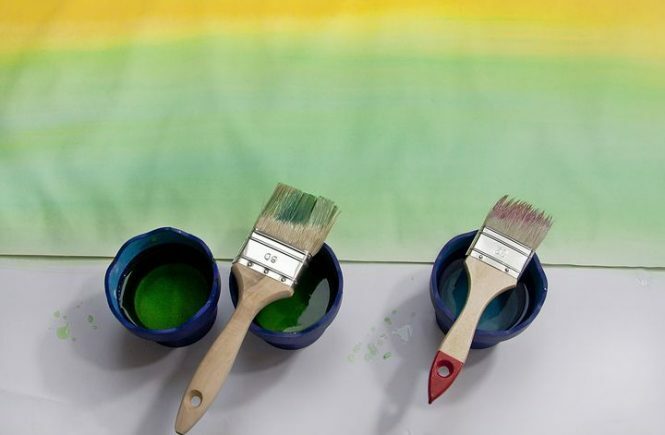 One of the best ways to show off your home at its best is to spruce up the rooms with paint; however there are a few things you should keep in mind before you start collecting color samples. When a paint job is executed to perfection, it can add flair and style to the entire space in addition to boosting the value of the property. You might as well leave pealing and cracked paint on wall surfaces, as visible patches of sloppy trim paint, paint spatters and roller marks resulting from a poor paint job are just as bad. When you prepare for the project, you will attain the best outcome. Preparation is supreme as far as painting is concerned. Proper preparation makes the paint job easier even though it’s time consuming. The first step is to clear any and all items that might be in your way when the painting starts. Door hinges, switch plates and curtain rods should be removed, and fixtures loosened up. Although this might seem to be time consuming, but no of it is wasted. You will end up wasting time later on, trying to move your roller or paint brush under or around any obstacles left in place. If you choose to leave things as they are, the job will take longer, and the outcome won’t have a professional look. Use a dry cloth or moist sponge to clean the walls once you have cleared away any obstructions. 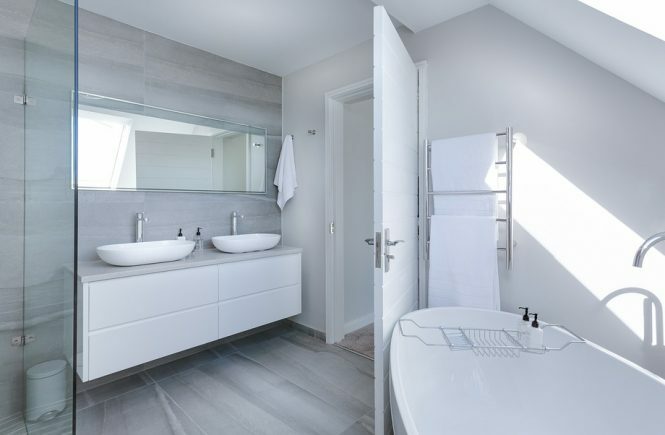 Streaks may appear on the walls after the application of a new coat of paint because accumulated grime, dust and grease prevents it from adhering to the wall properly. Scan the walls for rough spots that are in need of sanding or gouges, nail holes and any imperfections that should be covered with spackle as you look over the entire room one last time. The success or failure of the final outcome of the project, especially in older properties, may hinge on small repairs like these. To eliminate the need to prime the walls as an extra step, where large surfaces have been sanded, consider using a pain that includes a primer in its composition. At this point you can start laying drop cloths down and using painter’s tape to cover any baseboards, built-ins and molding. Painting your home’s walls will be straightforward afterwards. 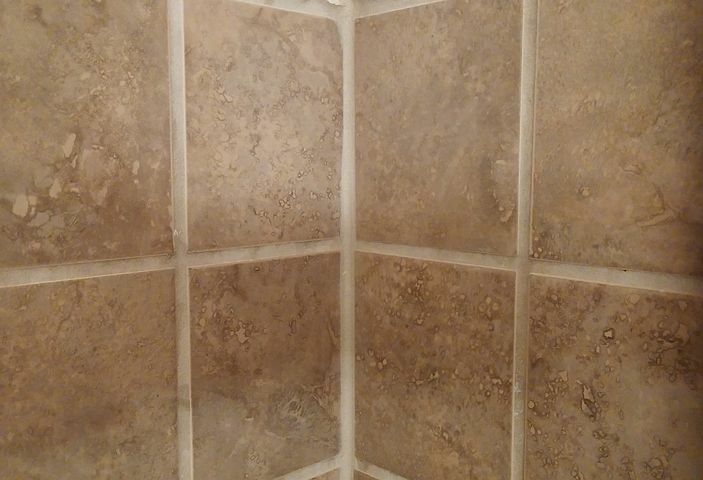 The rubber-like substance usually found between the floor and your toilet’s outer rim, or between your sink, shower or tub is referred to as caulk. To protect walls and floors from moisture from these fixtures, caulk creates a waterproof seal. Applying it follows an easy one step process since it adheres to these surfaces. In addition to discoloration which occurs over time, age related deterioration of caulk can expose your home to the growth of mold and water damage. Removal of the residue left by the initial application of caulk is usually the most difficult part of any caulking job. Good preparation is essential as the new bead of caulk won’t stick if the old caulk isn’t completely removed first. It took a lot of time to remove old caulk in the past as it could only be done using a razor scraper. Fortunately, it is now easier to remove with the help of one of the many available products designed to make cured caulk soft. You can use a putty knife to easily remove treated cured caulk. Clean the area with paint thinner and allow it to completely dry after removing the old cured caulk. You will then be ready to move on to the next step, the application. A little practice is required when it comes to learning how to use standard tube of caulk or a caulking gun. It’s comparable to attempting to use a tub of toothpaste to draw a straight line. Though, here you do have some options. You can use a piece of plywood for practice to begin with; just buy some extra caulk, which is fairly affordable. To ensure that you can properly cover even the widest gap in your project, cut the tip of the caulk, which is cone shaped, at the necessary diameter and at an angle. Consider buying and using caulk strips, which you can simply press into place after unrolling them, if you doubt your ability to apply an even and smooth bead of caulk. If you have a straightforward installation which you want to do in a hurry, these tools are a great solution even though they take away the artistry out of the project. 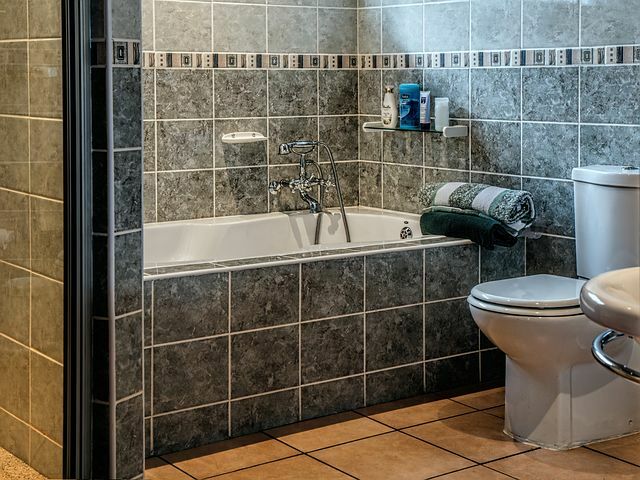 Every now and then, all homeowners have to deal with a backed-up toilet, even though no one looks forward to it. You can look at it as a rite of passage, in a way. Since there’s a sense of urgency involved in resolving this problem, toilet issues are quite stressful. Avoid going into a panic, first and foremost. Launch an investigation to find out if any foreign objects could, by accident, have found their way into the toilet bowl, instead. In a house with small kids it’s almost normal to find all sorts of toys thrown in the toilet from time to time. Unclogging the toilet, in such cases, might be as simple as fishing the object out using your glove clad hands. Alternatively, you can pour a pail of water into the bowl after waiting for the water level to go down to the normal level. Most blockages will be dislodged and pushed away by the additional pressure. Use a plunger to get rid of the blockage if it persists. You can increase the amount of pressure sent down into the discharge siphon pipe by simply using a flanged plunger which is best suited for use in clearing toilet clogs as it makes a better seal. Another effective option is the accordion plunger. Before you start plunging, ensure that the suction cup is covered with water completely. If you have to, add water to the bowl. A closet auger or a plumbing snake, a coiled metal wire that can be threaded through to free anything lodged in the serpentine piping of the toilet from the toilet bowl, can also be used to dislodge blockages. Found at your local home improvement store, plumbing snakes are a relatively affordable alternative. Capable of delivering a stronger surge of pressure than your everyday plunger to clear clogs, consider using compressed carbon dioxide or air cartridge delivery tools available at most plumbing supplies outlets, if all the above options fail. They are cheaper than hiring a plumber but more costly than plungers. You can, as a last resort, get at the clog by uninstalling the toilet and upending it. This might be cheaper than calling in a plumber, but there is a high chance that you will be grossed out. Uninstalling most toilets is relatively straightforward. Hold-down bolts are used to attach the bowl to the floor, atop a wax collar, after you have detached the water tank from it. getting the toilet bowl off the collar and onto a plastic tarp for convenient access isn’t that hard after the bolts are off and the caulk around the base is removed. Cover the exposed drain opening to keep gas from escaping into the room, and make sure that you set the toilet onto a tarp under which you have laid an old blanket to keep it from cracking. Before reinstalling the toilet bowl, remember to replace the wax collar. Find someone to help you because even though toilets are easy to uninstall, they tend to be heavy to lift. There is no doubt that damage to property can upend even the best-laid endeavors. All repair projects require protection of the underlying structures, but when a high-rise building is at issue, the matter takes on greater importance indeed. All elements of a structure demand protection, from balcony railings, parapet walls, roof, windows to sliding doors and more. Workers need to contemplate the potential for damage to property that sits near the construction zone, whether the damage occurs to parked vehicles or the landscaping adjacent to the building. Given that high-rise work frequently includes interior spaces, it is vital to engage in additional safety measures when tasks are undertaken near art works and furniture items. Every pre-project planning undertaking really ought to have detailed protection plans as an integral core focus. As an example, when working on a coastal high rise, it would be wise to take steps to safeguard the structure in the event of a hurricane something to which the region is vulnerable. Determining such precautions in advance makes the most sense to ward off potential calamities. There should always be a comprehensive survey done of the surrounding area prior to the start of work so that existing issues with the mechanical systems, roofing, flashing and the like can be identified. While this is something that will take a bit of time, it will help avoid nasty surprises and disputes later on. When a protection plan is created, it is important to keep in mind the most critical part of the entire job, namely, the people involved. High-rise project managers need to keep three groups of constituents at the forefront of planning. These are the workers, the owners and tenants of the building at issue and the engineers/inspectors assigned to the project. Each category of people must be schooled in safety measures relevant to the job, including the wearing of protective gear and the maintenance of closed access realms at the site. Because so many of the current crop of high-rise structures are almost beyond belief in terms of the scale, those in charge of building them are frequently forced to assume a public role. As such, successful completion of a project of this sort becomes extremely important. 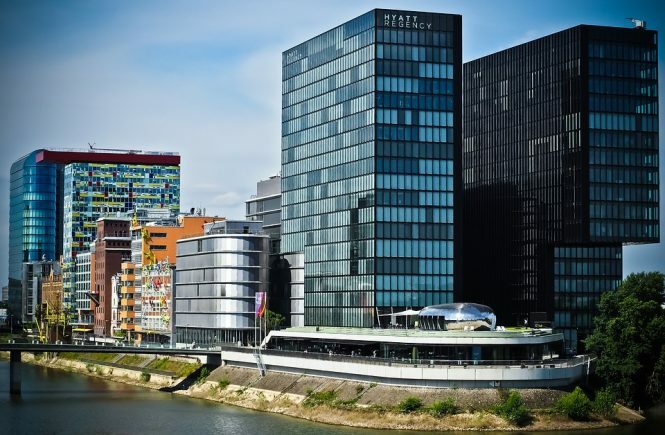 While the issues related to repairing high-rise buildings are often vexing, it is possible to effectively manage them with a great degree of deliberation and attention to all details. With solid communication processes, careful planning and by making safety a priority, it is possible to complete the most daunting projects with a surprising degree of ease. Skylights are quite infamous for letting the rain come in during the summer season, as well as the formation of ice dams when you’re going through one of Canada’s harsh winters. Since they’re a physical interruption to the roofing material, and quite commonly on a slope, they frequently develop leaks after enough time. Leaks usually happen when the window seal and the shingles surrounding it starting aging, or even more quickly if the initial installation wasn’t done appropriately. If you notice leaking happening with your skylight, then there are several diagnostics you can go through on your own prior to consulting professional help. When you know just what to look for, it might just save you a lot of trouble later on. The very first thing that you need to check for is any condensation trouble happening on the walls or inside of the glass. If you have a skylight that is located either in a bathroom or any other location that’s humid, then there’s a good chance that any water you notice dripping down is actually happening from inside your home rather than outside of it. If you wind up suspecting this to be the case, then you should be able to dry things up pretty fast by either using a ventilation fan in the bathroom or even opening your window, although this is really only feasible in the summer. Monitor the humidity levels of your home closely during the winter seasons if you want to prevent the buildup of condensation in the future. 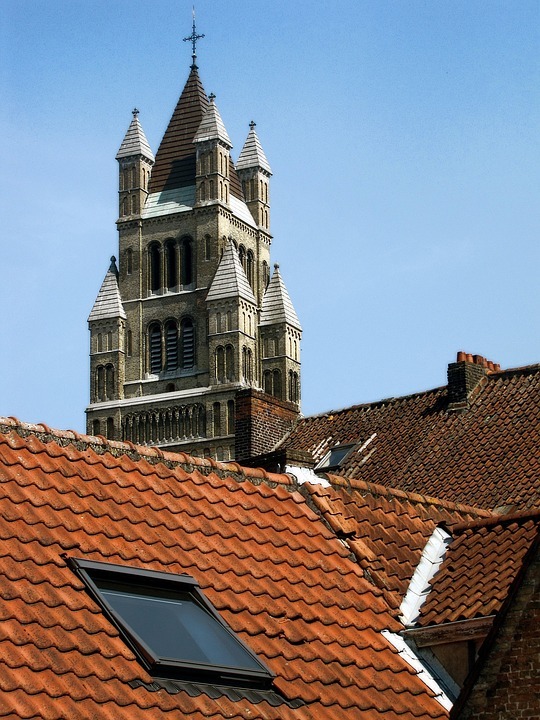 If you notice condensation that forms between the glass panes inside the sealed unit, or even water coming nearer to the skylight glass than at the level of the roof, that might indicate that the skylight seals themselves have started failing. This can be really hard to fix and typically happens close to the end of the service cycle of a skylight, which is approximately 25 years for most of the skylights that are installed in homes right now. If this happens, your best solution might be a full replacement of your skylight, along with the shingles surrounding it. Wintertime snow and ice get things even more complicated. When snow falls on top of your skylight, it tends to melt fast, but then it will refreeze when that water his the cold surface of the roof. 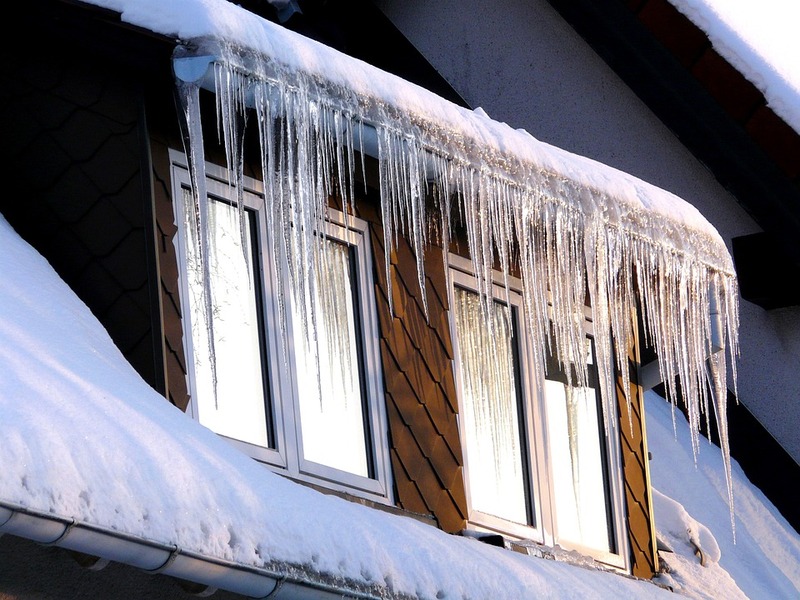 This process repeating itself with every snowfall eventually winds up leading to water pooling behind an ice dam that forms, which makes water start trickling through your roofing materials before they appear on your ceiling. High-caliber roofing materials, such as an ice/water shield surrounding your skylight, can help with the reduction of how much water winds up seeping through. However, these components can’t hold standing water on their own, which means that water might still wind up getting through. Frequently removing the snow in this area might be the only way you can prevent ice dam leaks in the vicinity of your skylight. 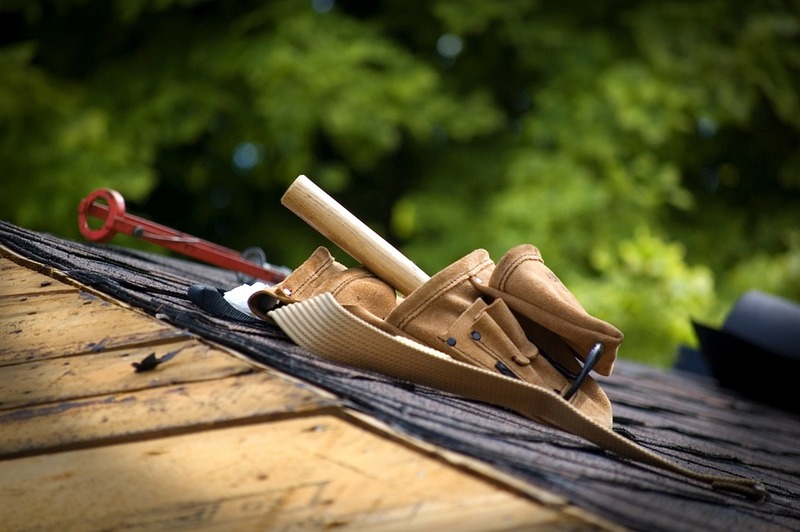 If your leaks aren’t caused by any of these issues, then odds are good that you need a professional to come out and look at your flashing and shingles from up above. It’s always a possibility that the skylight just wasn’t installed right, and the surrounding sealants and shingles just got damaged or worn out. When your roofing material gets closer to the end of its life cycle, it’s more than likely going to show this first at a weak point, such as a skylight. Skylights are complex and rarely free of trouble, but if you get a professional roofing technician out there, he or she can diagnose the issue quickly before providing you good choices that can keep all that water outside of your home, which is where you’d always rather it be.